How to find a room to rent in New Zealand. It’s all part of the working holiday experience! 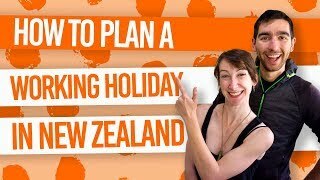 There are some places in New Zealand that are just too hard to leave, so you might find yourself getting a job to fund your travels and settling somewhere for a few months. With that, you’ll probably need to find somewhere to live. That’s where this list comes in! We’ve put together this list of useful flat-finding resources to answer the burning question: how to find a room to rent in New Zealand? For the best results, use a mix of all these methods. While half the New Zealanders advertise online, a lot of people still use the offline advertising methods, especially in the smaller towns and remote locations where the internet is not always reliable. 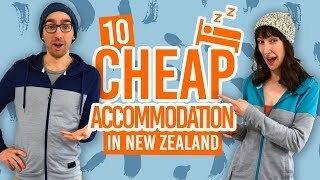 Need more help on finding a room to rent in New Zealand? Be sure to check out our guide on how to Find a Flat in New Zealand. For those that live in the 21st century, a bulletin is a short news report that comes out periodically. Because not much happens in New Zealand, many towns will have bulletins instead of local newspapers. Within its pages you will also find the local cinema roster, a few news stories, job listings and, what we’re all here for, classified ads for flats for rent or flatmates wanted. New Zealand is a country where a simple pint opens the door to a wealth of opportunities. From jobs to rooms-for-rent, making friends is the best way to get ahead in New Zealand. So head down to your job’s Friday drinks, or invite a few of your coworkers to the pub and ask around if they know anyone that might be looking for a flatmate. There are plenty of backpacker groups on Facebook, some specific to each city, where travellers go to buy, sell and exchange goods and ideas. Join the group in your town and keep an eye out for posts about a room for rent or somebody who is leaving the town soon – you may be lucky enough to get their room when they head to their next adventure. On that note, have you joined our Facebook group to meet backpackers all over New Zealand, make your own listings, and ask us questions about your trip? Learn how to make the most of Facebook groups with our 15 Simple Tips to Kill It on Backpacking Facebook Groups. Like every traditional small town, most of New Zealand’s towns come alive on a Saturday morning at the supermarket where all the locals shop for groceries. Make sure to look at the notice board, usually located near the exit or entrance, for “Flatmate Wanted” or “Room to Let” ads. Call promptly when you find a suitable ad, as those ads tend to stay up for weeks and may not be relevant anymore. Learn more about the New Zealand supermarkets here. Some bigger towns have newspapers where locals can post a notice in the “Classified” section. There, you will find New Zealanders looking to fill a room or two in their house. The ads usually include a phone number but rarely feature the phone number’s area code, since classified are often pay by the letter, so make sure to add it and contact advertisers as soon as you can, as rooms get filled very quickly. Websites like Trade Me, NZ Flatmates, Easy Roommate and Flat Finder are a great way to find a flat when arriving in a city. Some websites will require you to create a profile. It is worth creating a good one to show potential flatmates that you are willing to make the effort. Additionally, you are able to use your profile to look for flats in other cities later on if needed.